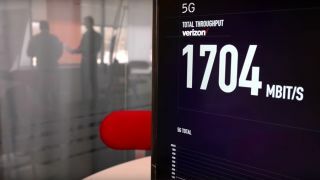 Verizon announced today that it is preparing the first customer trials of its newly built 5G network, testing the new generation of high-speed wireless data transfer in a series of different practical settings with the help of a handful of partner tech companies. The 11 markets taking part in the test span across the continental United States, including Atlanta, Dallas, Denver, Houston, Miami, Sacramento, Seattle and Washington, D.C.
Out of the 11 locales, five cities are already in line to begin customer trials of the 5G network as soon as Q2 of this year, according to a press release from partner Samsung. Verizon is not alone in its testing endeavors, as the telecom giant has partnered up with the likes of Ericsson, Intel, Qualcomm, Samsung, and more to provide technological assistance in testing the new network's effectiveness and user experience. Though the road to building a new 5G standard is being paved - Qualcomm having just announced its fastest-yet gigabit modem for mobile devices earlier this week - it's still estimated 5G connectivity still has about another year or two before it becomes the new normal for smartphones.